Drinking tap water instead of bottled water will deliver fluoride protection throughout the day. While the state of Arizona does not mandate water fluoridation, many local municipalities, including Bisbee, Phoenix, Tempe and Yuma, add fluoride to their water supplies. Other communities, such as Scottsdale, don’t because they may use water sources with naturally occurring fluoride. So what’s the big deal with water fluoridation, and why is it so important to our most vulnerable citizens? It’s very important that children get fluoride on their teeth daily to prevent tooth decay. In fact, the Centers for Disease Control has called fluoride one of the top 10 public health achievements of the 20th century. Fluoride is absorbed into the tooth enamel, making it stronger and more resistant to decay, and helps repair (remineralize) tooth surfaces that are damaged by acid produced by certain bacteria in the mouth. Since U.S. cities began adding fluoride to water supplies more than 65 years ago, tooth decay has decreased dramatically. 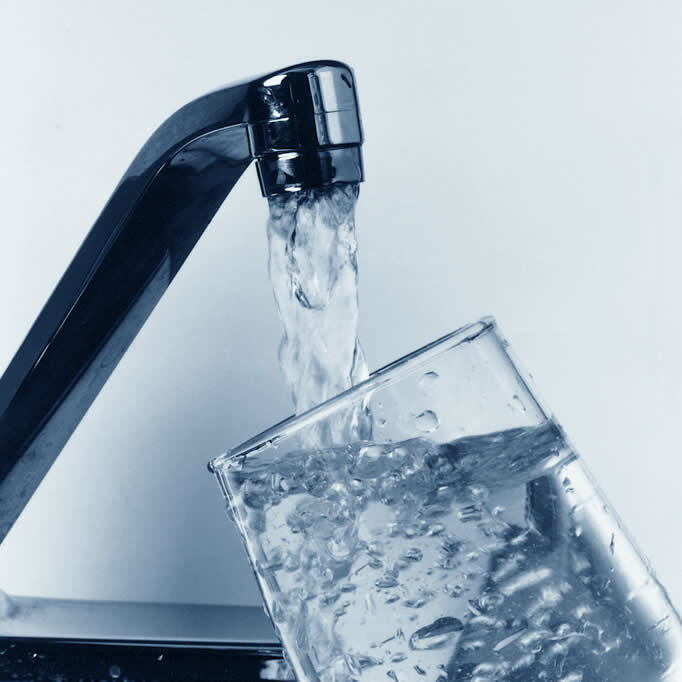 According to the American Dental Association’s Fluoride Facts, cities that fluoridate their drinking water reduce cavities in children by 20-40%. The key to fluoride’s protective benefit is maintaining a little fluoride on your teeth throughout the day. Brushing teeth with fluoride toothpaste at least twice a day, drinking fluoridated water and limiting frequent between-meal snacking on sugary or starchy foods will help keep most children and adults tooth decay-free. Use fluoridated toothpastes, mouth rinses and/or professionally-applied gels or varnishes. These products can help strengthen teeth by hardening the outer enamel surface. With toothpaste and rinses, young children tend to swallow most of what is placed in their mouth. The American Dental Association and the American Academy of Pediatric Dentistry recommends brushing twice a day and placing a “smear” of toothpaste about the size of a grain of rice, on your child’s brush as soon as the baby teeth start erupting into the mouth (about age six months). When your child is about two or three you can move up to a small pea size amount. Fluoride rinses shouldn’t be used until good swallowing reflexes have developed, about ages 6 or 7. Dietary fluoride supplements, such as tablets, drops or lozenges, are typically available only by prescription and are intended for children older than 6 months living in areas without fluoridated water in their community. Buy bottled water that states on the label that it contains the recommended amount of fluoride. To find out the fluoridation status of your local water supply, contact your city water department or your local water provider.